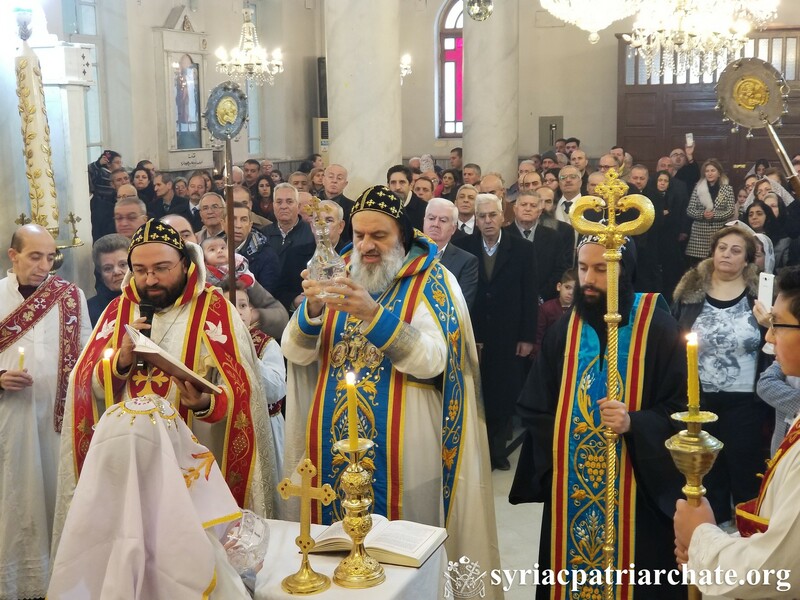 On January 6, 2019, His Holiness Patriarch Mor Ignatius Aphrem II celebrated Epiphany Holy Qurobo at St. Georges Patriarchal Cathedral in Bab Touma – Damascus. His Eminence Mor Timotheos Matta Al-khoury, Patriarchal Vicar in the Patriarchal Archdiocese of Damascus, assisted His Holiness in the Holy Qurobo. In His Sermon, His Holiness spoke about Epiphany as the revelation of the Mystery of the Holy Trinity. He also spoke about the bosom of baptism to which one enters earthly and with physical body yet gets out with spiritual and son/daughter of God. His Holiness then presided over Epiphany procession in the Church.